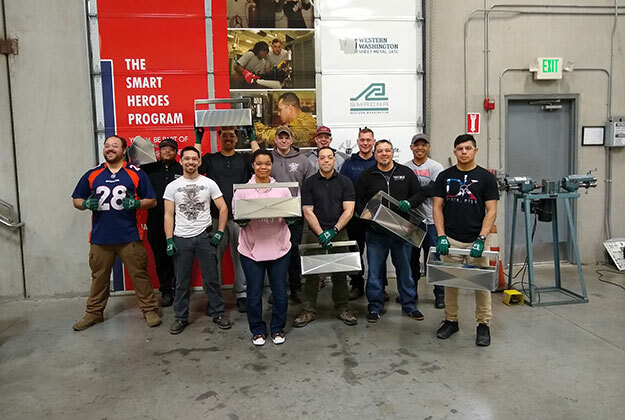 The veterans got the chance to learn about a new career as a Sheet Metal Apprentice and also build a tool box in the hands-on project portion of the event. Participants were allowed to keep the tool box they built. The Skilled Trades Rotation is a free voluntary training event where individuals acquire trade and craft skills. Participants visit a training site, get a block of instruction, and then complete a 24-hour project. The event is open to transitioning servicemembers, military spouses, military high schoolers, and veterans.